Jesmond Light Commercials is a family owned business serving our valued clients since 1989. Our extensive industry experience makes the task of sourcing your next vehicle easy & stress free. We offer great trade in prices, arrange vehicle financing & for your peace of mind offer a range of warranty products. just drop us email and we will get it for you. 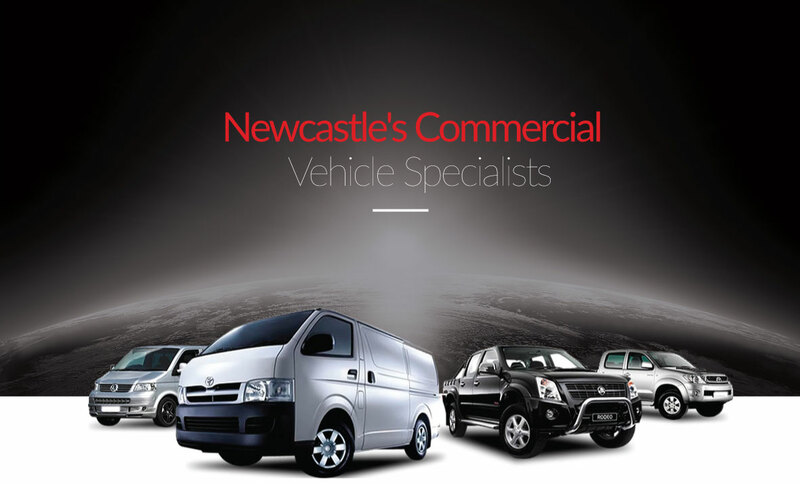 Newcastle's only light commercial vehicle specialists. For over 20 years we have been stocking a quality range of Vans, Utes, Dual Cabs & Four Wheel Drives for all budgets. With models like Hiace, Hilux, Express, Rodeo, Falcon & Transporter regularly in stock, you are sure to find the vehicle that's just right for you. Whether it’s a vehicle for personal or business use, Jesmond Light Commercials is focused on working with you to match the right car with the right finance. We have partnerships with a number of exceptional finance brokers who are fully trained to match the right finance package to the right customer, and to negotiate with lenders the best result for you, no matter what type of finance you require.